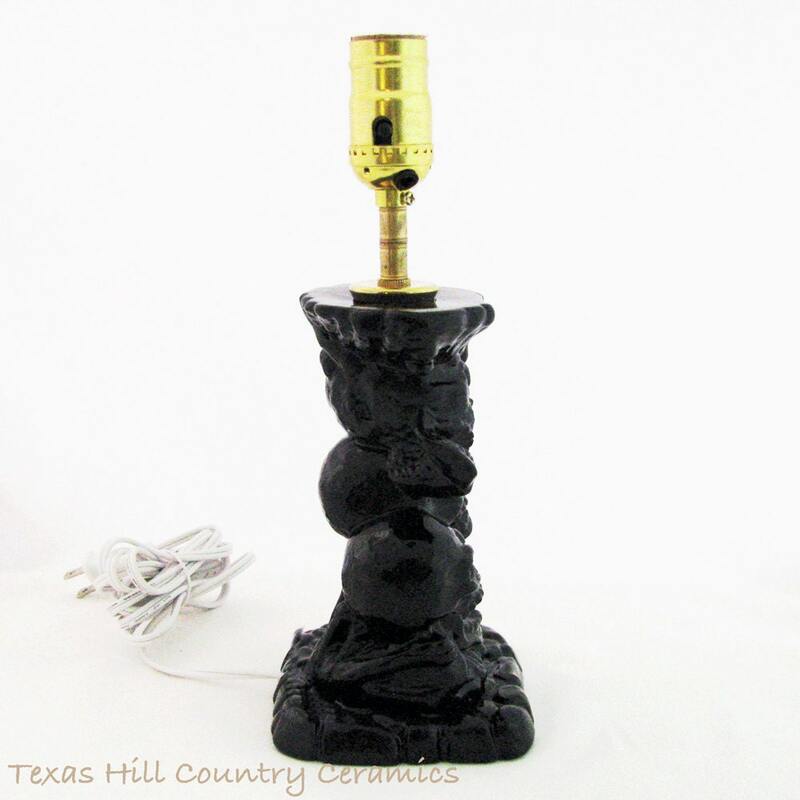 This black skull desk lamp base would look great on any desk or accessory table that needs a little extra light in your home or office. It can also be used in an entry or hall as a night light. 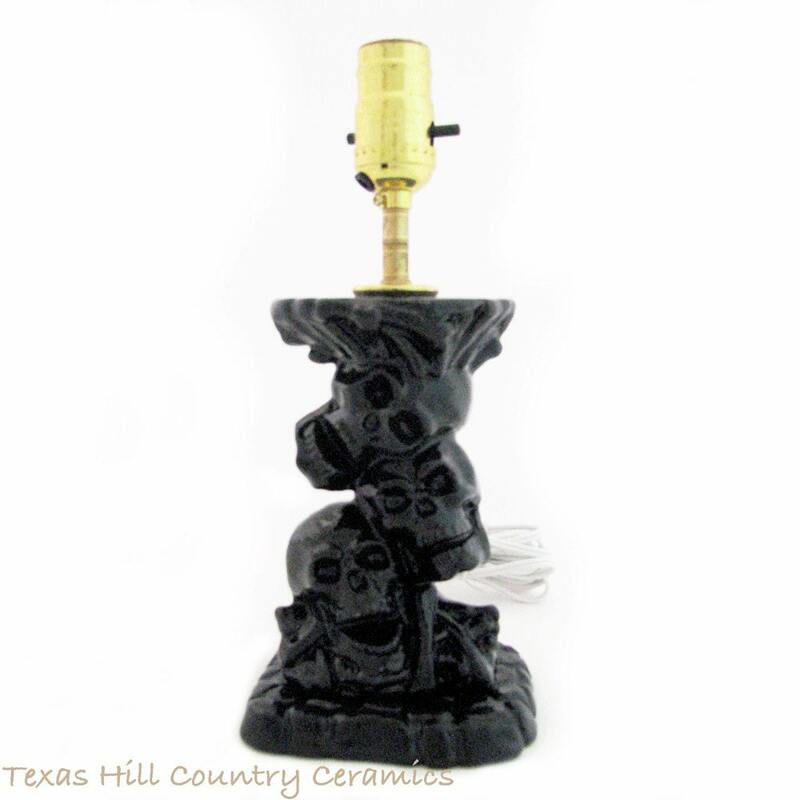 The skull occasional table lamp base is made of ceramic pottery, at the bottom is a rectangle base of rocks followed by stacked skulls on a pile of bones, the top is finished with more stacked bones. 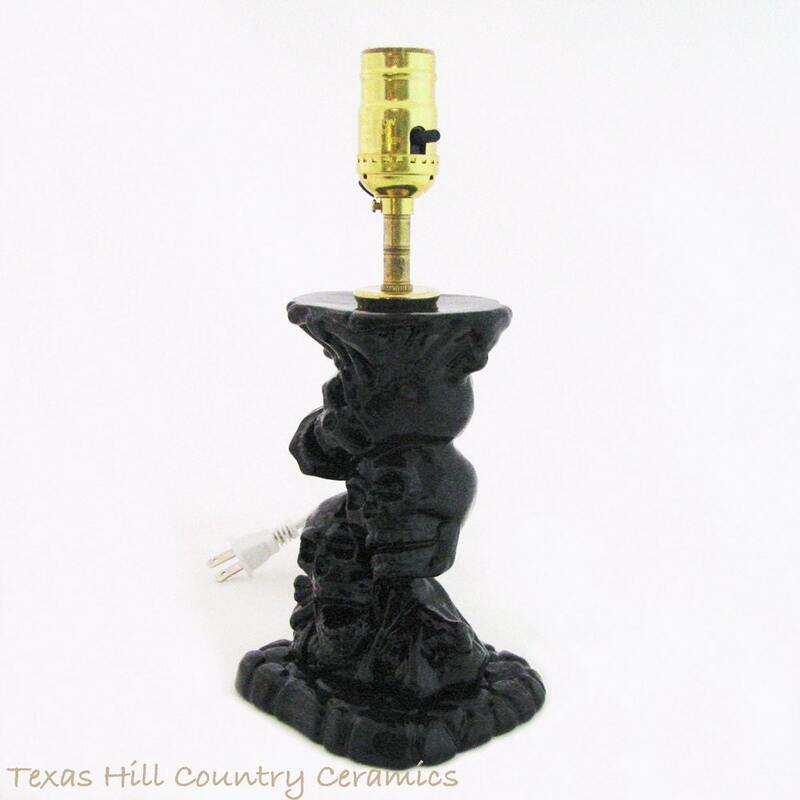 This black skull lamp base is ready for you to add the shade of your choice. The skull lamp base is designed to use a shade with a "UNO" fitter. UNO fitter is a shade that is secured to the socket and is held in place with a light bulb. All lamp bases are wired with a UL approved light fixture and plug that is standard for electrical systems used the USA. 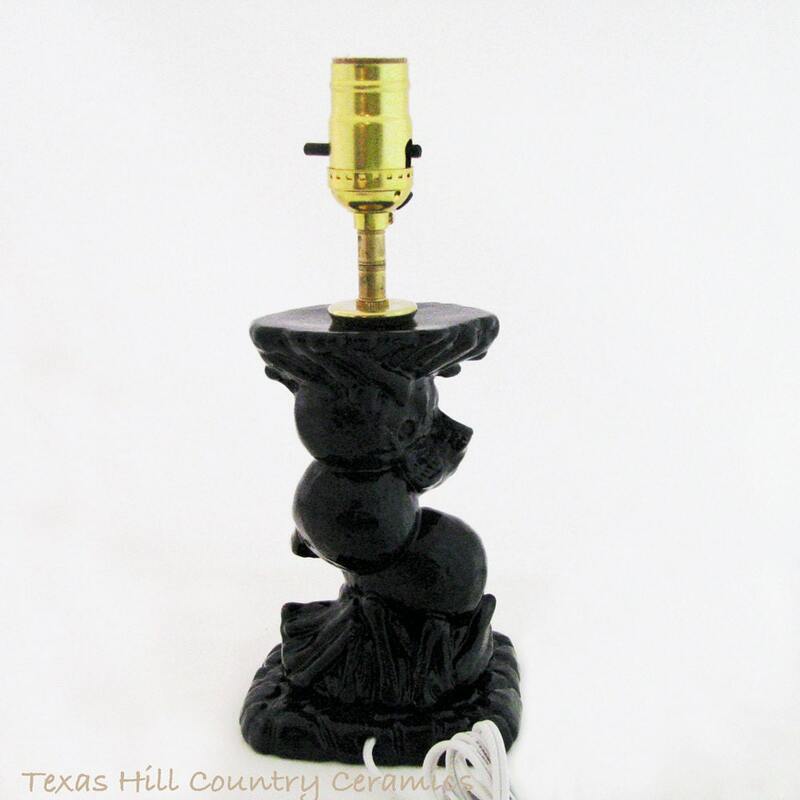 This lamp base is designed to use a 40 - 60 watt light bulb, the lamp socket has on off switch. The last photo is only a sample of lamp shades that can be used with this skull lamp. 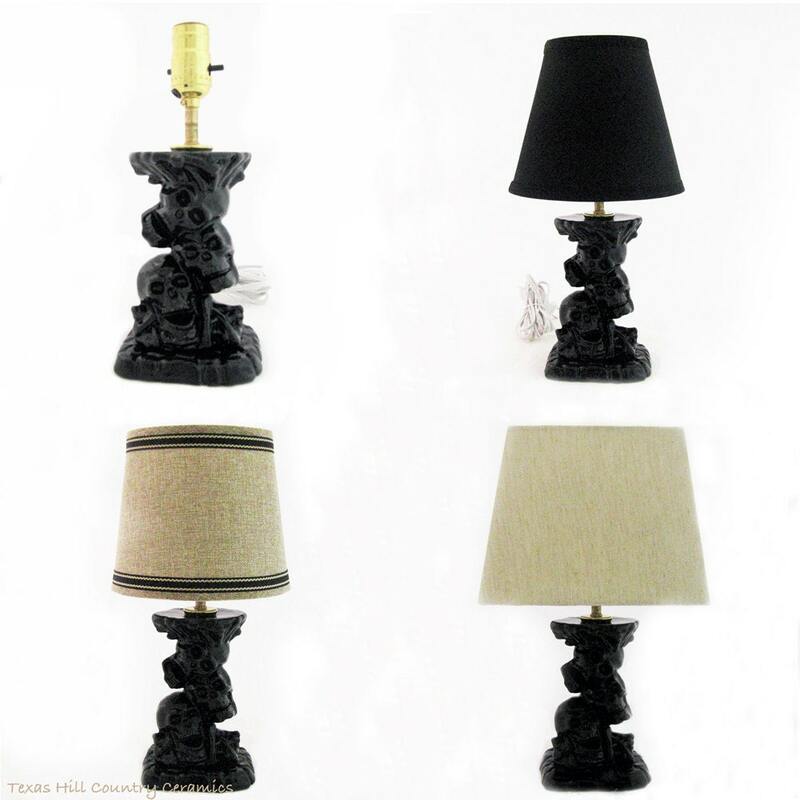 Each lamp base is made to order and ships on completion. I love this lamp! It is a little smaller than I imagined but it is perfect for my bedroom! I couldn’t have asked for anything better! Thank you so much!! !